What is Podcasting? What is Webcast? What is RSS Feed? A podcast is a series of digital media files, usually digital audio or video, that is made available for download via Web syndication. The syndication aspect of the delivery is what differentiates podcast from other files accessible by direct download or streaming: it means that special software applications, generically known as pod catchers (such as Apple Inc.’s iTunes or Nullsoft’s Winamp), can automatically identify and retrieve new files associated with the podcast when they are made available, and that these files can be stored locally on the user’s computer or other device for offline use. This is done by the podcatcher accessing a centrally-maintained Web feed, which lists files associated with a certain podcast. I have created the Podcast and Live News page for the WCNY- public broadcasting station of CNY (www.wcny.org). Several types of media were used on the Virtual TV page. Feed from PBS with programs preview, video streaming, audio streaming, RSS feed reader that read feeds from NPR, PBS and other trusted source of information. A 3 minute explanation of podcasting. How does iTunes and iPod treat podcast files compared to song or audio book files? On an iPod, podcasts shouldn’t appear when you select Shuffle Songs or Music Quiz. What is an enhanced podcast? An enhanced podcast can include chapter marks and photos. When you play an enhanced podcast in iTunes, a menu icon appears to the left of the display at the top of the iTunes window. If you click this icon, a pop-up menu appears and displays the podcast’s chapter marks, artwork, and start time of each chapter. (Note: Mac OS X 10.2.x users won’t see artwork in the pop-up menu, but everything else works the same). When you play an enhanced podcast on an iPod, your iPod displays the name of the chapter you’re listening to above the playback position in the episode. To see this, press the Select button during play to make a diamond appear in the bar. You can then scroll the wheel right to scrub forward, or left to scrub backwards. A webcast is a media file distributed over the Internet using streaming media technology. A webcast may either be distributed live or on demand. Essentially, webcasting is “broadcasting” over the Internet. The generally accepted use of the term webcast is the “transmission of linear audio or video content over the Internet”. A webcast uses streaming media technology to take a single content source and distribute it to many simultaneous listeners/viewers. RSS in Plain English Video. A short explanation of RSS and how it helps you save time reading the web. RSS (an abbreviation for Really Simple Syndication) is a family of Web feed formats used to publish frequently updated works—such as blog entries, news headlines, audio, and video—in a standardized format. An RSS document (which is called a “feed”, “web feed”, or “channel”) includes full or summarized text, plus metadata such as publishing dates and authorship. Web feeds benefit publishers by letting them syndicate content automatically. They benefit readers who want to subscribe to timely updates from favored websites or to aggregate feeds from many sites into one place. RSS feeds can be read using software called an “RSS reader”, “feed reader”, or “aggregator”, which can be web-based, desktop-based, or mobile-device-based. A standardized XML file format allows the information to be published once and viewed by many different programs. The user subscribes to a feed by entering the feed’s URI, often referred to informally as a “URL” (uniform resource locator), although technically the two terms are not exactly synonymous, into the reader, or by clicking an RSS icon in a browser that initiates the subscription process. The RSS reader checks the user’s subscribed feeds regularly for new work, downloads any updates that it finds, and provides a user interface to monitor and read the feeds. Several types of media were used on the Virtual TV page. Feed from PBS with programs preview, video streaming, audio streaming, RSS feed reader that read feeds from NPR, PBS and other trusted source of information. Web cast is a media file distributed over the Internet using streaming media technology. A podcast is a series of digital media files, usually digital audio or video, that is made available for download via Web syndication. 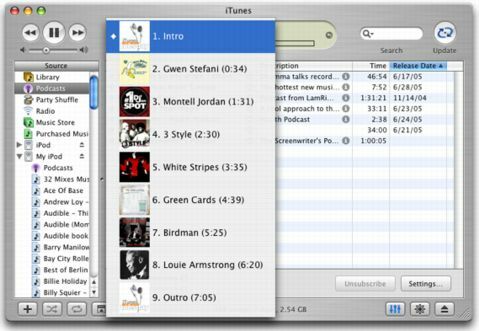 The syndication aspect of the delivery is what differentiates podcasts from other files accessible by direct download or streaming: it means that special software applications, generically known as pod catchers (such as Apple Inc.’s iTunes or Nullsoft’s Winamp), can automatically identify and retrieve new files associated with the podcast when they are made available, and that these files can be stored locally on the user’s computer or other device for offline use. This is done by the podcatcher accessing a centrally-maintained Web feed, which lists files associated with a certain podcast. What is SOPA? What is PROTECT IP? How SOPA and PIPA might affect you? Guide to Protecting Online Identity. How to Create Strong Passwords? How to Promote Business on YouTube.com? How to Use Hash Tags? How to Attract More Visitors to Blog and Website? Pricing Strategies. Several major factors influence the pricing for a product or service. What Is the Prisoner’s Dilemma? What is Game of Strategy? Economics and its Effect on Business. This is economics and history as they are meant to be: fascinating, informative, and motivating. Introduction to Social Media. What is Social Media Networking? What is HDTV? What is Digital Television? What is DTV?